Expediting sustainable recovery for survivors of natural disasters. Backed by 65 years of combined experience in on the ground emergency management and in-depth disaster recovery, Compass 82’s refined and proven approach to expedited sustainable recovery of ravaged communities minimizes the complexities of the recovery process. Our comprehensive “Educate > Advocate > Navigate” system is designed to guide disaster survivors in the right direction by immediately establishing and implementing a recovery plan during the early days following a disaster and ensuring local, state, federal, and nonprofit service providers are accessible and maximized. With our one-of-a-kind, highly proactive, compassionate, and expert approach, we are a problem-solving force which no disaster can match. Count on us when it comes to planning and fast-tracking your disaster recovery. From the onset of disaster to complete, sustainable recovery, our educational workshops break down the necessary steps for all stages of recovery in a way that is easy and comprehensible for all parties involved. Our insurance advocacy experts ease the burden for policyholders by establishing a navigation plan for your insurance claim, verifying claim accuracy, and maximizing policy benefits while avoiding third-party consultant fees. We simplify and fast-track recovery not only for disaster survivors but the organizations designed to assist them. 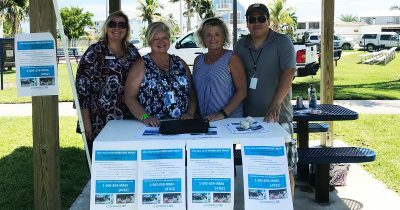 Our customized guidance and collaborative solutions back non-profit, business, and governmental partners that support disaster-impacted communities. In response to the formation of Hurricanes Florence, Isaac, and Helene, Compass 82 creates informational tip-sheets to help southeastern U.S. homeowners prepare for and recover from potential floods. Find out more about our efforts here. 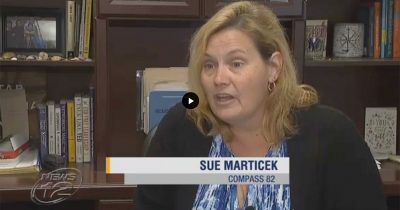 Compass 82’s response to Hurricane Irma results in Disaster Case Management Program Grant for Miami-Dade & Monroe Counties, putting Compass 82 at the frontline with the survivors to address their specific needs. 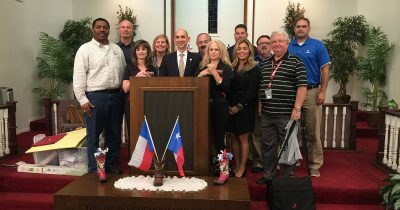 Four weeks after Hurricane Harvey left a wake of destruction in Texas, Compass 82 is on the ground and ready to help devastated Texans recover, rebuild, and restore. Read what happened here. Thank you to our partners for supporting our recovery efforts.